As a marketer, I am often trying to find ways to connect with key opinion leaders online. We identify them, figure out how to share our brand message, and try to engage with them. Little did I know that someone was targeting me. It sounds a little sinister, but it really isn’t. A few weeks ago, I was contacted by someone at Nokia’s WOMWorld, who explained, “We are a Nokia sponsored community resource that, amongst other things, looks to get Nokia devices into the hands of creative types and tech enthusiasts.” Reading a little further, I realized he was talking about ME. 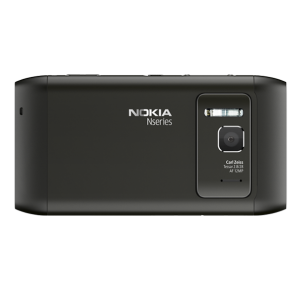 Anyway, I filled out some paperwork and yesterday a Nokia N8 camera phone appeared at my house. So for two weeks, I get to play with someone else’s camera. How cool is that? Anyway, check back and go to my Flickr to see what kinds of photos I take with the Nokia. I’ll be reopening my photo studio, so I will use the camera to document that.